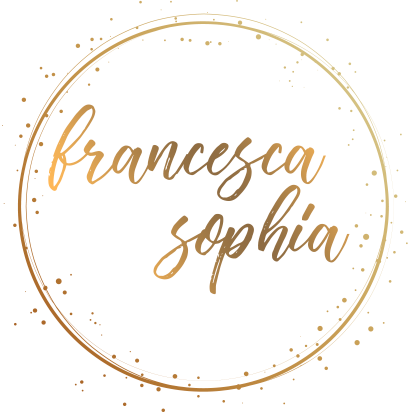 I’d been procrastinating setting up an email address on my domain – ‘hello at francescasophia.co.uk’ instead of ‘francesca.sophia at hotmail’ – for a long time. It seemed like a hassle, to be honest, and even though there were obvious benefits, I didn’t quite know if they were worth wrapping my head around. I’m pretty sure I’m not the only one feeling this way, so I figured I’d put together a little post about why, how, and well, whether to add an email domain to your blog. WHY SHOULD I ADD AN EMAIL TO MY DOMAIN? Short story? It makes you look a little more professional. Long story? Not only does it make your blog look more professional, it also means you can switch between mail providers without changing the actual address – sick of Gmail? Get rid. Hotmail getting you down? Ciao! – easy as pie. HOW DO I CREATE AN EMAIL ADDRESS ON MY DOMAIN? Your website is, of course, hosted by a domain company. 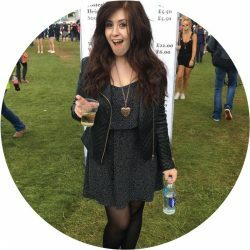 Mine’s on Siteground, which is pretty common for a lot of us using WordPress, but whoever’s hosting your site, you’ll have used them to set up your blog – whether installing WordPress or redirecting to Blogger, etc. – you’ll be paying them a yearly/monthly fee, so chances are you’ll know who they are. All you have to do is access your CPanel, and click through onto the section under ’email’ entitled ‘mail’; click through and type in the address you’d like to set as your email. Then, simply click through to the settings on the web account you’ve just created. On Siteground, this is nestled under ‘more’ and then ‘configure email client’; this is where you’ll find the IMAP & POP3 data, which you’ll need to set up your new mail client. You’ll also need to set up email forwarding now; for this, open up a new tab, head to the ‘mail’ section of your CPanel again, and click ‘add forwarder’; in this section, you’ll need to add your custom email address and the address you’re setting up in a mail client. You can choose whichever mail client you prefer for this next stage; I settled on Gmail, just because Hotmail have been messing up my emails for years, and the process will be slightly different depending on what you choose. Set up a new account (or select an old account that you’d like to use for blog emails); you’ll need to add this address to the other section of your blog forwarding option mentioned above, and you’ll want save that before going any further. Once that’s all done, you’ll need to import your emails into your service provider; you’ll need to click on settings > accounts and import > add an email account (under ‘check email from other accounts’). That’s where you’ll pop in your POP3/IMAP settings. Then, all you have to do is set up your account to send from that account; head to settings > accounts and import > send mail as; in the pop up that appears, select ‘yes, I want to send mail as (your address)’; make sure the option to ‘treat as alias’ is deselected, as otherwise your name won’t show properly in the address line. Add in your outgoing SMTP server, and…well, you’re done. Say hello to your fancy new domain email! Have you set up your email address on your domain yet? Too much hassle, or worth the time?